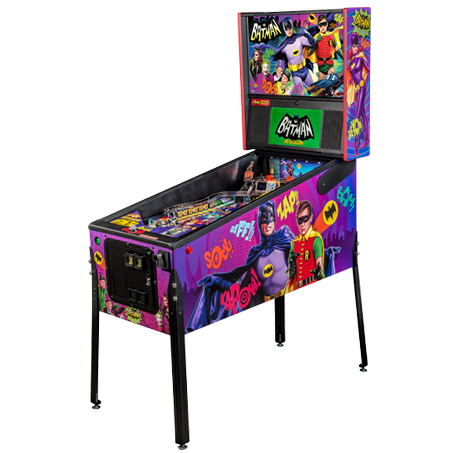 Stern Pinball is celebrating its 30th year in business and the 50th anniversary of the iconic American TV series with an Anniversary Edition of the Batman pinball machine featuring the world famous "Dynamic Duo" of Batman and Robin. The game will immerse players in campy fun and heart-pounding action as the crime fighting Dynamic Duo comes to the aid of the Gotham City Police. Throughout the game, Batman and Robin work to deduce clues and discover super villain plots to thwart evil plans and capture bad guys. Players are guided through the game by the voices of none other than the original Batman and Robin, Adam West and Burt Ward. 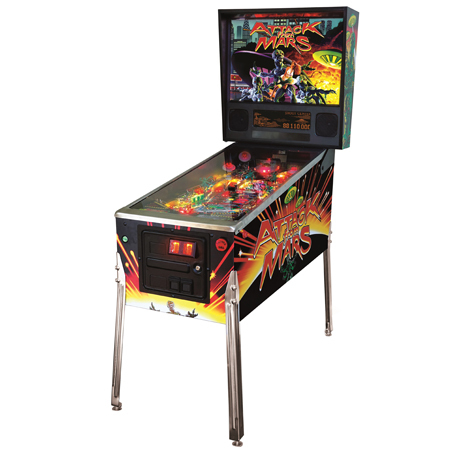 In addition to the fun title and game experience, the machine features a full color high definition display replacing the dot matrix display. 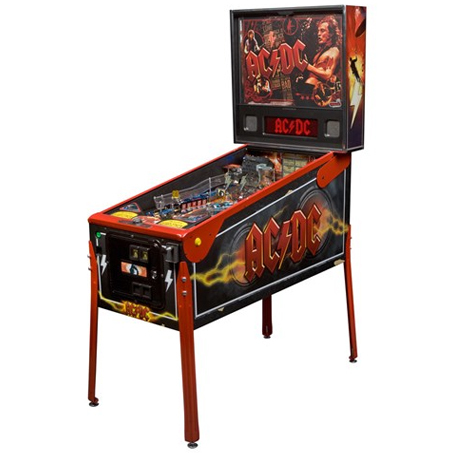 In conjunction with Stern's new SPIKE-2 electronic pinball platform, the display enables high definition graphics and innovative animations. This enables the game to feature actual TV footage from the iconic series. The game includes a second HD display on the playfield as part of an interactive game feature. 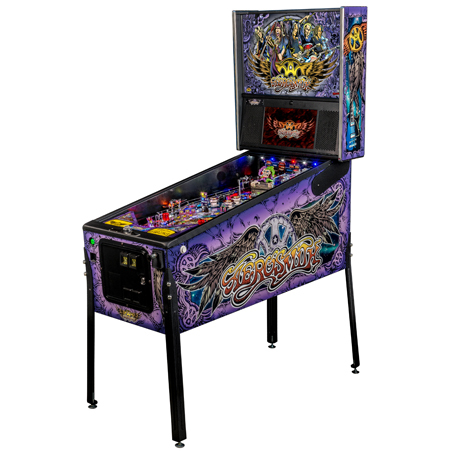 Introducing the dynamic rotating Action Turntable Mini Playfield which presents the player with numerous alternating shots and targets; the interactive "Villain Vision TV Set"